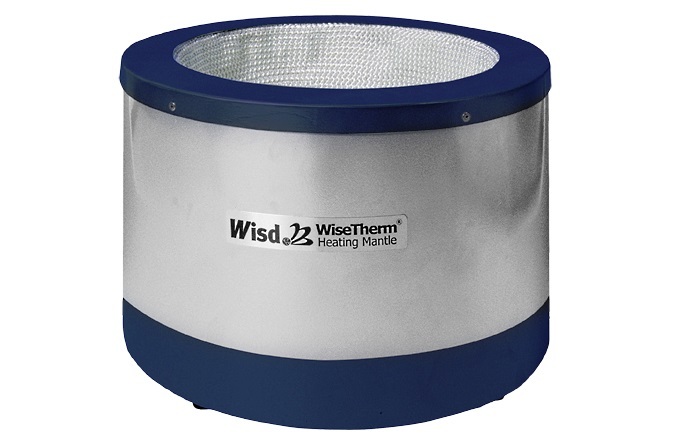 These single position WiseTherm heating mantles offer excellent performance and price advantages over the traditional brands. 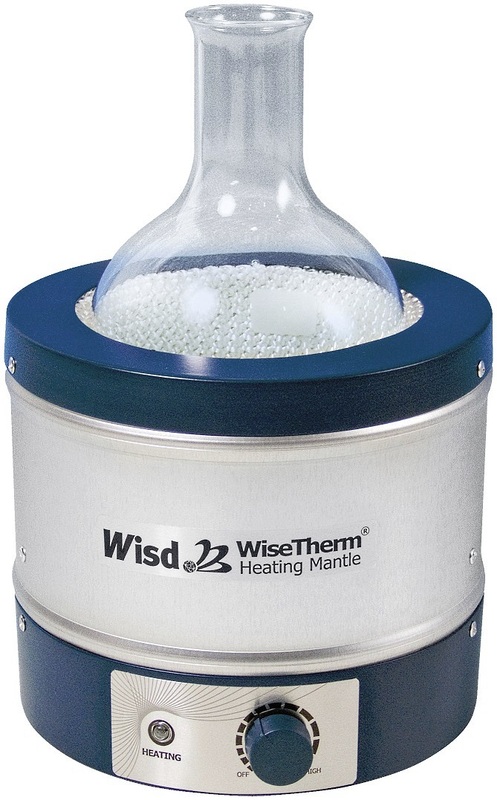 All the mantles (except 10L and larger) are housed in an aluminum case and either have an integrated Temperature Controller or have an integrated k-type sensor for remote control. Maximum temperature is 450ºC (ask about models that go to 650°C). 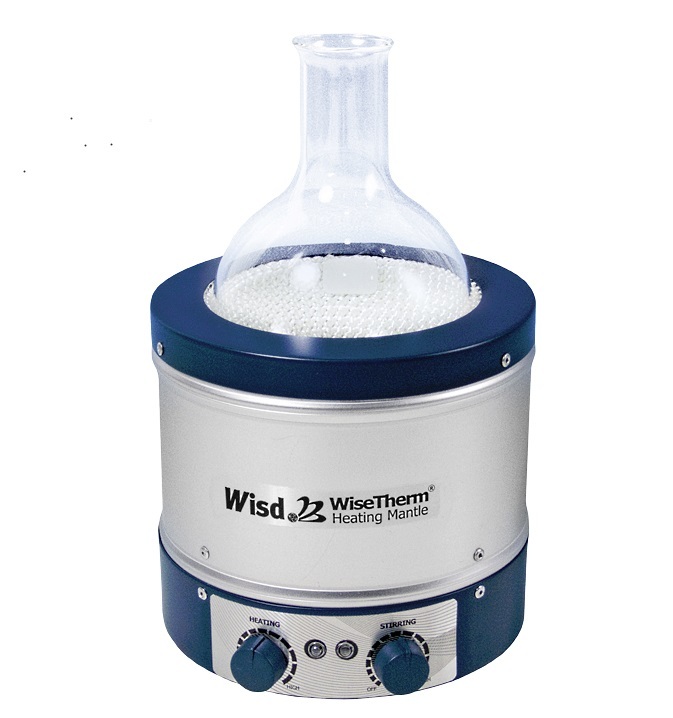 They are designed to accommodate spherical flasks of sizes ranging from 50 mL to 20 Liters. Those mantles with aluminum cases can be used on magnetic stirrers. 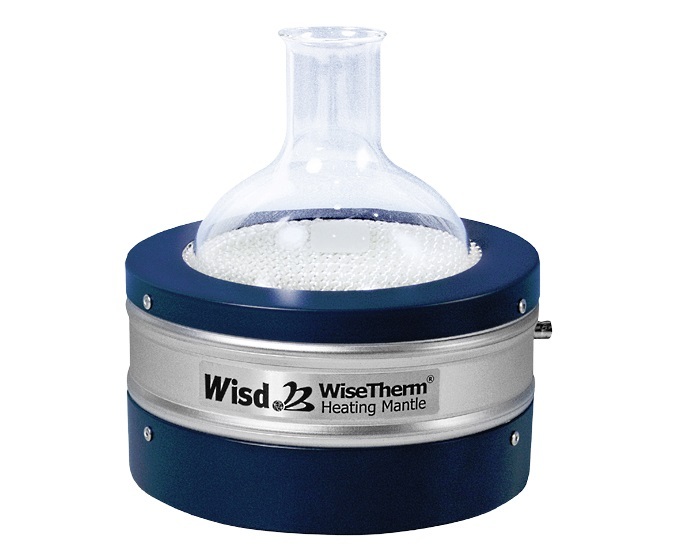 Alternatively many of the heating mantle sizes are available with a built in magnetic stirrer. External versatile analog and digital controllers can control the mantles remotely. 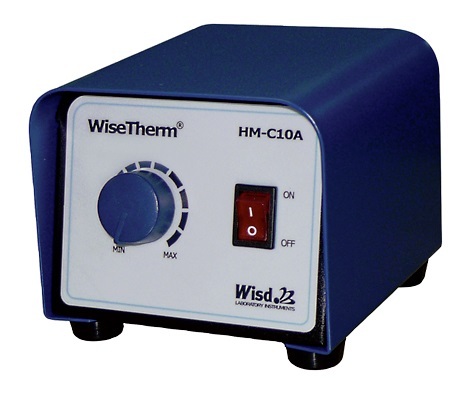 The WHM-C10A is a compact analog controller for heating mantles up to 1.2 kW. The unit has a small foot-print and is capable of providing accurate control of heating mantles, tapes, cords and other resistive loads up to 1.2kW. It provides solid state, proportional voltage power control of 5 to 100% or rated power. The WHM-C10D is a compact digital controller for heating mantles up to 700ºC, ±0.1ºC The unit provides digital feed-back control via a high-performance microprocessor with digital LCD with a back-light. It also has memory storage, function, time, alarm and locking mode for convenience and added safety. Heating equipment can be controlled up to 2 kW. 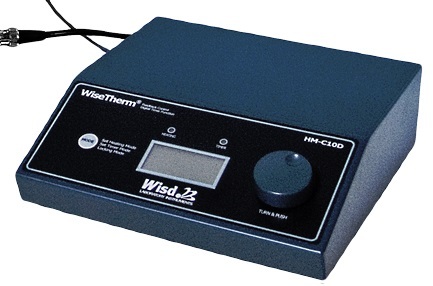 An External Direct Contact Temperature Probe can be added as an optional item.